Dirty data is the biggest reason email marketing campaigns might fail. That’s why if you truly want to succeed, maintaining a sparkling clean email list is a must. 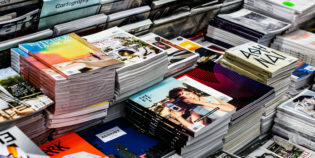 So, you’ve crafted your copy with care, hired the best graphic artist to design eyeball-tickling images, roped in your awesome marketing automation expert to segment your database, and scheduled your next Big Email Marketing Campaign. But wait, you forgot something. You forgot to check if your email marketing database is clean. A recent report found that 91 percent of companies suffer from data inaccuracies in their customer databases. The most common data errors are incomplete or missing data, outdated information, and inaccurate data. 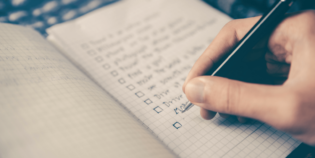 On top of that, with the incoming GDPR laws in the EU, you’ll also have to make sure, more than ever, that your lists are spick-and-span and in order. It’s not just the law you have to worry about. It’s also the monetary value of your email lists. If your list is full of obsolete data, or disinterested people who throw your carefully crafted emails directly into the trash, then your email list isn’t valuable. Your open rates are down, your click-through rates are beyond abysmal. 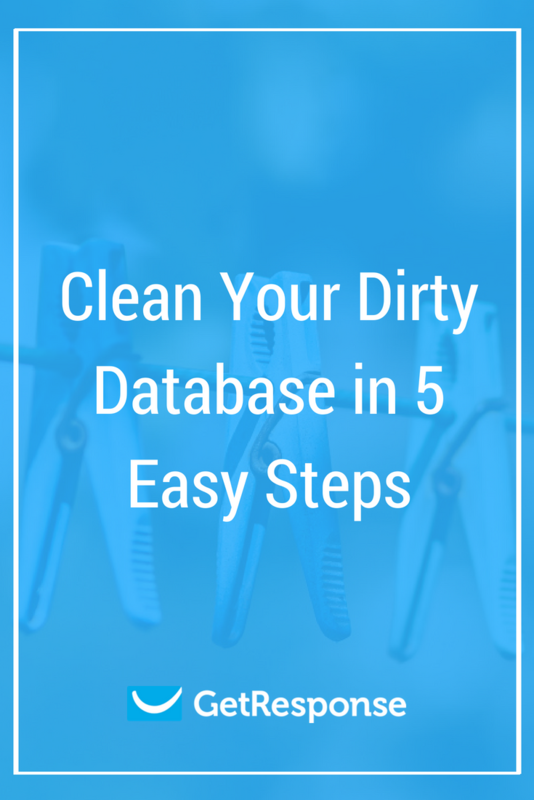 Here are the five easy steps to having a clear database and saving yourself some stress. Away with sneaky “implicit” opt-ins, pre-ticked boxes, and chucking people onto lists because they are loosely related to a different one they opted in to. In 2018, opt-in means absolute, unequivocal, can’t-be-denied, opt-in status for each and every subscriber. This is because by May 25, 2018 the GDPR laws in the EU come into full effect. Before this date, you have to be able to prove that your entire list has given you permission for sending them emails, or else you’re walking the wrong side of the law. Yes, this is relevant even if you’re in the U.S dealing with customers within the EU. Aside from the new privacy law, sneakily opting-in subscribers just doesn’t work. If they didn’t want your emails to begin with, why would they want them after you force them into their inbox? They’ll quickly mark your email efforts as spam and delete it, without so much as an open. Make sure you’ve got your permissions and keep your opt-ins clean. Ok, maybe you won’t be able to boast of an email list of 50,000,000,000 subscribers anymore. But, you can boast of an enhanced open rate, and a higher click-through rate. At the end of the day, isn’t it what every marketer truly wants? Believe it or not, the biggest cause of inaccurate data is human error, with 59% of companies reporting it to be the main problem. On average, companies use four channels to collect customer and prospect data. This can be the data customers give via web forms on websites, or from sales teams and call centers. One way to fix this problem is to put data entry standards in place. This means having required fields that your employees (and customer/prospects) have to fill out. Your sales team are constantly collecting contacts via their Google and Outlook. Quite often they’re contacts they’ve exchanged a few emails with and not much more. They also collect business cards from new prospects during trade shows. All this information has to be updated in your apps. Sales teams often import new contacts directly from Google or Outlook, and these days they use business card readers to automatically get that info in their apps. But these methods run the risk of duplicate entries in your email marketing lists. Have your teams double check the database before creating a new profile to make sure the same person isn’t entered twice. It doesn’t take long to quickly type in to see if “Jenny Brown” is in the database. But, sending Jenny Brown multiple emails for the same campaigns is just not good practice. Your business probably runs on multiple apps, including GetResponse. If you’ve got one app for sales, another for customer care, and another for marketing, and none of these apps natively integrate – you’re looking at a data maintenance nightmare. Import/export, manual data entry operations, ad-hoc methods to synchronize the data using one-way data pushes. Many businesses are using third-party data syncing SaaS apps to tie these multiple apps together. In fact, a report from Experian found that over half of companies are using SaaS to manage data quality. By integrating your apps, you not only ensure all your teams have access to the most up-to-date, correct data. You also make data management easier. Many CRMs have duplicate detection that can help you weed out duplicate entries. This newly cleaned data can then be synced across all your apps, including GetResponse. No matter how carefully you curate your email lists, there will always be a handful of bad email addresses among them. Incorrect, abandoned, unsubscribes, and spam complaints. The best way to deal with them is to have them automatically removed from the email list and added to a suppressed list. In the future, your emails won’t be sent to those on the list, increasing your open rates and decreasing complaints. One rookie mistake is not taking into account suppressed lists when exporting conacts from one app to another. Make sure they’re uniform across all the apps your company uses. Also, manually adding emails to suppressed lists is good practice to be sure that people marked “no email” are not imported (and emailed to) accidentally. Find out how you can do this in GetResponse. Is your email list squeaky clean now? Remember that your business can no longer afford sloppy data entry practices. With these five tips you’ll not only always be on the right side of ever-tightening privacy laws, but you’ll also increase the value of your database. Whether you’re new to email marketing or have been doing it for years, the most important part of your job should be growing a high-quality and engaged contact list. To make your life easier, we’ve compiled a list of 21 tried-and-tested tactics for the success of your future campaigns.